Zone·tv™, the largest provider of SVOD programming to service providers, today announces Quark and XiveTV, two online subscription video-on-demand services, are now available via Xfinity on Demand on Comcast’s X1 platform. X1 customers can find the services by saying “Quark” and “XiveTV” into their X1 voice remote or by navigating to them in the networks section of Xfinity On Demand. 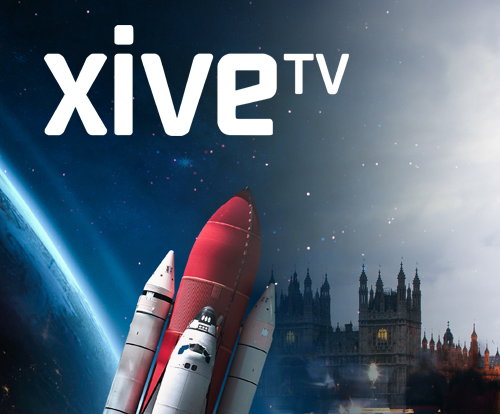 Quark and XiveTV have been developed with Alliant Content, a leading independent programmer of long-form factual film and television shows across digital platforms. “We are thrilled to bring Quark and XiveTV to Xfinity X1 and to build on a great partnership that enables Comcast customers to enjoy and discover some of the best content on the planet from the best screen in the house: their television, ” said Jeff Weber, CEO, zone·tv. “Zone·tv and Alliant Content’s collaboration lets eternally curious viewers explore the universe – from African wildlife to space – as well as the impacts of history and technology through programming that is truly smart, entertaining and vivid,” said Greg Diefenbach, Managing Director for Alliant Content. Quark and XiveTV cost $4.99 a month each. Other zone·tv SVODS available to Comcast customers on X1 include the fitness-focused FitFusion TV; kid-friendly PlayKids and Tumblebooks; and most recently, the nature – focused Lion Mountain TV.